As I write this it is mid-March, and everytime I step outside I find myself surrounded by blossoming plum trees. 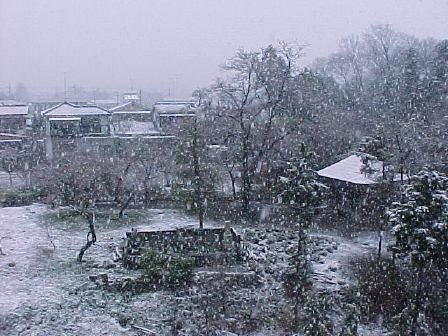 Back when I lived in Hamura, it seemed that the arrival of spring was announced by the cherry trees, but here in Ome things are different. I am sure that there are cherry trees around here too - I will discover that next month - but there is no question that in this neighbourhood the plum is 'king'! There are any number of them visible from the windows of the rooms that will later become my workshop, and a large unkempt one fills the sky just outside the window of the room where I have set up a temporary workspace. I'm happy that spring is here 'early' this year, because I certainly have a lot of work waiting for me - prints to make, stories to write, and this vast new house to put in order! People who cross Canada on the train can of course travel in style if they choose, sitting and sleeping in a private roomette and eating in the dining car, but for travellers on a limited budget the accomodations are somewhat more basic. She and I had both bought the cheapest ticket; we were travelling 'coach', which meant that we slept right there in our seats and ate whatever food we could find, bought either from a trolley that came round at intervals, or from platform kiosks during station stops. It was a most pleasant trip for both of us. The train car becomes a sort of 'community' during the long days of the cross-country train journey; although there were people sometimes getting on or off, most were there for the entire trip, through the woods of Ontario, across the wide-open prairies, and then over the Rocky Mountains down to the coast. We all got to know something about our fellow travellers, and I certainly learned about my seat partner. She had come from Japan just a short time before this, had registered at a language school in Vancouver, and was living with a Canadian family in a 'home stay'. She had taken a short vacation, travelling by Greyhound bus across the US to New York and then up to Toronto, and was now returning to Vancouver to prepare for her English studies in September. So both of us were sort of starting a 'new life', although mine was rather more undefined than hers! And of course it wasn't. Every day she strolled down the hill from her home stay place to visit me as I worked on getting the little basement apartment into livable condition. The basic framework was done, but I had to put up wallboard in the bathroom, do some painting, make cupboard doors, and generally get the place finished off. It was pleasant work, but after a few days of it I was finding myself a bit edgy at having to stay indoors so much. This was late September, and around Vancouver that is the best hiking season. The mountains are clear of snow, the summer 'tourists' have returned to their schools and jobs, and the trails are generally quiet and uncrowded. She too was a hiker, and had brought boots and backpack from Japan, so we made plans for a camping trip together. A few days later, there we were on a train again, not the cross-country one this time, but a small train heading north from Vancouver. We got dropped off at a whistle stop, and then headed up into the mountains. We had a wonderful time exploring the area, and although the weather turned a bit cold and snowy, that didn't bother us at all. We extended our trip by a couple of days, even though most of our food was gone, and all we had to eat on the last day or so was some tea and biscuits we 'borrowed' from some other campers we met. How I have struggled in recent years trying to find a good way to display my prints in the gallery! 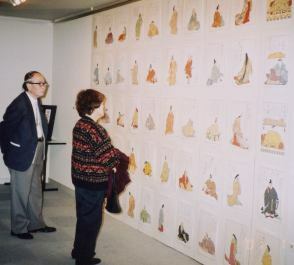 During the years of the Hyakunin Isshu series, I really didn't have much choice over display methods - there were so many prints to show that the only affordable option was simply to stick them up on the wall en masse. Whether or not they were well displayed simply wasn't a factor. At the time I showed the first sample print of my new Surimono Albums series, I built a special room at the back of the gallery, and that seemed to work well - the print was shown under soft light and looked quite beautiful. For this year then, I had to come up with something different. Money was very tight (because of the new house purchase), and time was even tighter, but I had to find a good solution to this problem. I thought back to last spring, when I had received a request from an interior design company who wanted to borrow some of my prints for display at an event they were hosting. They did a beautiful job of showing the prints, using a series of angled wall panels with overhead spotlights. Now although this sounds like exactly the kind of thing I am against - putting the prints up on the wall under bright lights - the fact that the lights were directly over the prints made a wonderful difference. All the embossing was clearly visible, the colours were clear, and the paper texture was palpable. I decided to do the same thing at my own exhibition. 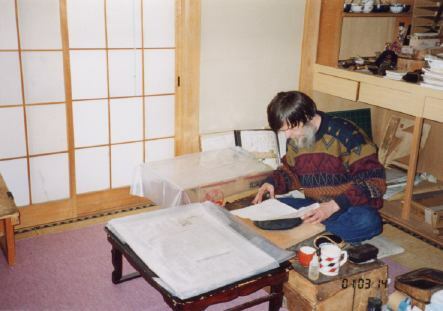 Sadako and I sketched and planned how to do it, then went to the lumber store and brought back a load of materials: plywood, wallpaper, spotlights, and all the assorted hardware we would need. By this time my Hamura apartment was empty, as all the furniture and workshop equipment had been moved over to the new place, so the two of us spent a few days in the empty space putting together the whole thing, in a form that was easily knocked-down for transport to the gallery. We ran into a few small problems during the construction, but nothing that we couldn't solve, and after it was all set-up in place in the gallery, were pleased to see that the prints did indeed look great! So did the visitors enjoy it? Yes, the response seemed to be positive. Quite a number of people who had been to the previous exhibition were certainly surprised to see the new lighting system, but nobody complained - I think they were too pleased to be able to see the prints so clearly. Attendance this year was down somewhat from last time. I only had to use one guestbook, compared to two last year (let alone the five that were needed for the final Hyakunin Isshu exhibition!). This was mostly due I think to very light media coverage. I have learned that the phrase Surimono Albums certainly doesn't have as much media impact as Hyakunin Isshu! Obviously, quite a lot of my 'popularity' during those years was due to the theme I had chosen, and to the fact that the project was taking ten years to complete - something that the media found interesting. Maybe I should announce that I am making 500 surimono prints - ten each year for 50 years! Then perhaps the media would pay more attention? But of course I will do no such thing. The exhibition was lightly attended, but there were orders, and it seems that I will be able to continue the work for another year ... 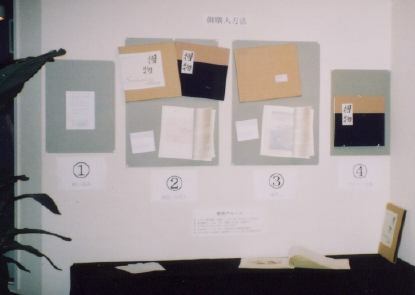 When I started making these Surimono Albums I re-calculated all my costs and expenses, and organized things in a different way from the Hyakunin Isshu series. For that series, the print price had been 10,000 yen, and I made 100 copies of each. The books came close to balancing (at least in the later years of the series). But for the surimono, I wanted to keep the price at a lower level, so I increased the quantity to 200 copies of each print, at 6,000 yen. This means a lot more printing work, especially as these prints generally have many more colours, and it also means I have to find more collectors to be able to survive, but it does mean that the albums are much more affordable for most people. Time to start another 'regular feature' in this newsletter! Now that I'm finally living in a place of my own, I no longer have any excuse for not arranging my working space in the way I want it. Back in the Hamura apartment I wasn't able to reconstruct the space, and anyway there simply wasn't room to do so, but I am now free of such restrictions, and the large empty rooms downstairs are a 'white canvas' on which I can paint any design I choose. I have any number of ideas about how to use the space. Right from the first day I saw this place, mental pictures of the finished workshop started bubbling up: the printing bench would go here ... the carving bench over there ... During the time since moving in, as I have become more familiar with the building, these ideas have of course become modified and more detailed. Gradually a clear picture of how I can create my 'ideal' printmaker's workshop has come into focus. It is going to be a long process. If I were able to hire a construction crew to come in and build everything, I am sure it could be done in a very short time, but I have neither the money nor the inclination to do that. I want to do it myself! So the job is obviously going to be spread out over a long time, at least a few years, and probably quite a bit longer. As work progresses, I will keep you up-to-date with this 'Studio Diary'. Traditional Craft, Crisis, or ...? 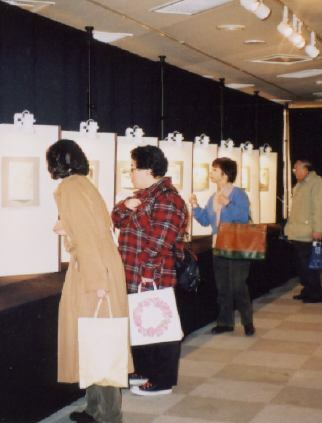 One of the most common things I hear from visitors to my exhibitions is, "Isn't it a pity that wonderful crafts like this are dying out nowadays." It seems that many people have the view that there is a crisis in the world of traditional craftsmanship. People do tend to view traditional crafts as being superior to modern ways of doing things, but I have to wonder about this. I am sure that the craftsmen of old did not view their work in special terms. I think that they were simply people 'doing a job'. Whether they were potters, temple carpenters, or even woodblock printmakers like me, they simply got up each morning, had their breakfast, and started work, just like people do today. They made products needed by their society. But over the course of the years, as times change, demand for various commodities falls, and that for others rises. The wheel turns - it never stops turning. Traditions arise, flourish for a time, and then fade away naturally. If this is indeed the normal course of events, then we should not really be so concerned with the passing of traditional crafts. We should not cry, "It's such a shame!" when we hear of an old craftsman with no apprentices by his side learning the trade. The young people who could have been his apprentices are all off somewhere else busy creating new ways of doing things, as young people should. 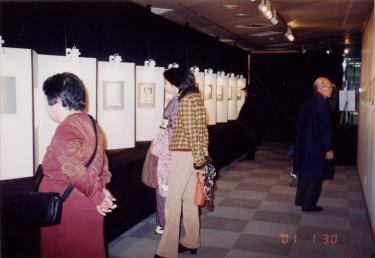 Edo-era crafts cannot possibly have much relevance in a Heisei-era world. But even if we accept this analysis, there is another point of view. Think of our musician friends, busy creating modern forms of music - rock, jazz or pop - but also still listening to Mozart. In the case of an art like music, the modern has not displaced the old, but simply stands beside it. It seems that our society is quite capable of sparing some of its resources for the purpose of preserving these traditions. But this can only be true for as long as there is an audience for them. If people continue to go to concerts of Mozart's music, traditional musicians will continue to play it, thus preserving the tradition. As long as people choose hand-made dishes for their table, potters will be happy to continue to create them. It comes down to a simple equation: if you value such things, then you must make use of them in your daily life. If you do not, then the wheel will indeed turn full circle, and they will disappear as a matter of course. The choice is yours to make. It is not we the craftsmen, but you the consumers, who will decide which crafts will survive. We are waiting, our skills at your service. Our future is in your hands. Back in January, when I was still in Hamura preparing for the move to the new house, I was warned by many people - "It's going to be cold over there!" Well, I knew that ... I knew that this place had no heating system of any kind, and - being a typical Japanese house - it had very poor, almost nonexistent, insulation. 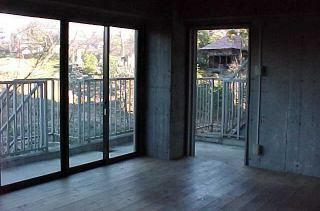 That alone would make it colder than my Hamura apartment, but there were other factors too: this house is on a north-facing mountainside ... it fronts a small river ... it is big ... Combine all these things and you end up with one very cold place indeed! The day we moved all my goods over here, one of the movers laughed and called my attention to the bathroom - water that had been left in the tub was frozen solid, right to the bottom. Shortly after this, one of the frozen pipes burst and we had a fair-sized flood in the basement, soaking a number of boxes of books. Having grown up on the Canadian prairies, I'm not particularly sensitive to cold, and am prepared to live with this during the time it takes until I can get the place rebuilt into a more sensible and properly insulated form. But I have to admit that the hot carpet Sadako brought over from her place was indispensable to my getting any work done during the past weeks. My hands were sometimes so cold that I was unable to feel the correct moisture in the printing paper. I also discovered something very interesting - that printing paper in a very cold condition is quite a bit stronger than usual, and the baren can be applied much more vigorously. I had heard an old printer talking about fuyu-zuri (winter printing) before, but now I understand it! Are you proud of me ... that I'm making such noble sacrifices in order to learn the true old traditions!? ?